Although I profess I do love a Monday.. 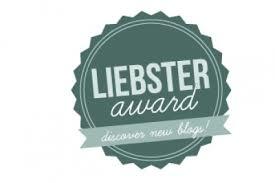 THIS Monday was made all the more special after doing the obligatory Twitter check first thing, only to find out the fabulous Events Northern Limited had put me forward for the Liebster Award! The questions I need to answer are below. I cannot wait to pay in forward at the end. I started blogging in 2007 however started this blog in 2012. I realized that us event managers have a quite a glamorous life with loads of things to write about and me being a geek means I love an excuse to write and thus my blog was born. I try and make my blog about both my professional and personal life as an event manager and try to be truthful about my experiences everyday. I want to bring my personality to my blog so it’s not generic. I would like to keep blogging, producing one or two pieces a week and increase my readership. I would love, one day, to work on my blog full-time but I think that would mean coming out of the field of events and I think you need to live it to be able to write about it? Every day. If I am off sick and think it’s a worthy piece to write about event managers and being sick I will. If I am at a networking event for the 3rd time that week and am sick of eating canapes for dinner… I’ll write about that! I write about our everyday world! What is your ultimate indulgence? Wine and cheese. But really strong cheese – I can easily do a whole block of Blacksticks Blue! try it – its amazing! Running my own event & social media company which would also allow me to blog all day long! Perhaps 2 hours or so? My finance and I worked out the best idea the other day. He wanted to watch rugby, I wanted to blog so we took my laptop to the pub, he watched the rugby, I typed away and we were still together! Being hyperactive. I have too much energy until about 11.00 pm when I pass out but during they day I try to cram so much in and round around so much its exhausting to watch. The best event will be this year! I am getting married. Best event so far would have to be a circus event I did at work! I love the whole production and designing the overall theme and this one was epic! Eleven random facts about me! I used to be an International Flight Attendant, I studied Criminology at University, I am getting married this year, I live in Weybridge, I work for Law Firm, my favorite food is ham and cheese toasted sandwiches, I often leave my bike parked in the same spot for months, I hate fizzy drinks, I have 2 sisters, I have 4 parent and my favorite color lipstick is RED! I am nominating the following blog (Event Planner Evolving) http://wordpress.com/read/blog/id/63314681/ and my questions are! how did you come to be in event management? If you weren’t working in events, what would you do? whats your favorite medium of social media for events?